Or so an Australian “philosopher” purports. 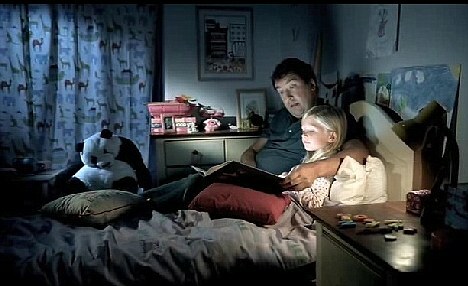 A loving family who reads bedtime stories to their kids has an unfair advantage over those who don’t. Perhaps it was fate that I was made aware of this story on the same night my oldest son won his second Emmy for his work with ESPN College GameDay – but this strikes me cold – our children were read to at night. The abolition of the family is the end of freedom. Our families and our children are the last line of defense against servitude and totalitarian, despotic rule. It is articles like this that make me want to go full John Boy on the world – buy a big house and bring all my kids together in it so we can stay together and protect and support each other. Have a multi-generational household where the family unit is the center of social and intellectual activity, where the grandkids only have to climb the stairs to see their grandparents. I’ve actually been thinking about the cost/benefit ratios for this and in today’s economy, it looks pretty doable. When we get to the point “experts” are saying that reading to your kids in a loving family setting is an “unfair advantage”, this is the end of Western civilization and the beginning of a Godless totalitarian communist era from which mankind will never recover. Totalitarian states will not mandate that families read to their children, no, the easiest way to “correct” such inequity is to use government edict and power to prohibit reading by the family in toto. It is the same argument seen with the Second Amendment. Progressives don’t really care about keeping you from the shooting ranges. It’s not even about their fear of inanimate objects they do not understand, the root of their argument is that you, as an individual, have no right to protect yourself because in their minds, that is the job of “experts” (i.e. the police) hired, trained and controlled by government. Of course, they say individuals don’t “need” a weapon in today’s society – but in the progressive lexicon, “not needing” something means it must be banned – to be fair, you understand. Once the individual is eliminated, there will be no individuals – no one to stand up for freedom and justice – no one to defend life, liberty and the pursuit of happiness. Perhaps this bedtime story is simply a fairy tale on par with Grimm. Maybe it is just fringe thinking by a provocateur – but one must always understand how shallow the mind of a progressive truly is. It is a very short distance from bottom to the top and takes very little time for a stupid idea to rise from the sediment and muck on the bottom to become progressive dogma at the top. May 6, 2015 in "Progressivism". I see I’m not the only one that had a reaction to the no more reading to your kids rule. Although I lost my parents when I was quite young I still remember them both reading to me at night and I still love to read.